Arizona Silver CEO Greg Hahn explains the switch in focus to the western IP anomaly on the company’s Ramsey silver project in Arizona. According to Arizona Silver (TSXV:AZS) CEO Greg Hahn, there is still plenty of work to be done when it comes to exploration initiatives at the Ramsey silver project in Arizona. To date, Arizona Silver has conducted three drilling programs on the property with the goal of determining the size of the silver mineralization zone first discovered within the old workings of the Ramsey mine. In the interview below, Hahn outlines the company’s findings and describes the next steps for the Ramsey silver project. Below is a transcript of our interview with Arizona Silver CEO Greg Hahn. It has been edited for clarity and brevity. 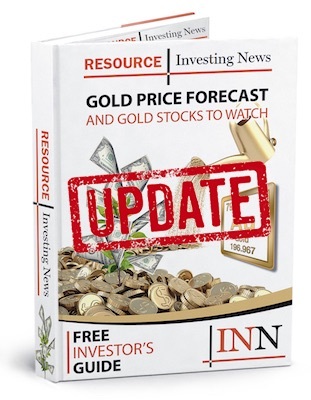 Investing News Network: Please tell us about the exploration work conducted on the Ramsey silver project and the results you announced on November 14, 2017. Arizona Silver CEO Greg Hahn: Arizona Silver became a public company almost a year ago, and since then we have conducted three drilling campaigns on the Ramsey silver project. In the first, which was completed in late 2016, we explored the north end of some underground workings and identified a broad zone of silver mineralization. In our spring 2017 program, we drilled to the east to determine whether the silver mineralization continued in that direction. Our most recent drilling was just completed, and that was conducted to the south of the original program. We surrounded the historical workings of the Ramsey mine with these drill holes and identified the continuation of a broad zone of silver mineralization in all directions. INN: What do these results mean for the project moving forward? GH: They mean that we have found a large, low-grade system in the Ramsey mine and Ramsey Hill zones that we have intercepted with all our drill holes. What we need to do next is expand outwards from where we have drilled so as to identify the size of the system and to determine the location of its core, which we don’t believe we have found yet. INN: What’s next for Ramsey and how does that fit into the company’s long-term plans? GH: Our next move is to continue drilling on the property. We have a prominent geochemical anomaly located 200 meters east of our drill holes that runs 100 meters to the southeast. The next objective is to expand outwards and drill a pattern of holes in the large geochemical anomalies so as to determine the continuity of the mineralization at subsurface. If we are successful, then we will have a mineralization zone that covers approximately 300 square meters, with potential for further growth. INN: At this stage are you able to understand the dimensions or the size of the deposit? GH: We currently do not have enough drill-hole data to determine that. What we can say is that we have intersected mineralization in all our holes, and the deposit is wide open to the north, east and south. Within 1 kilometer of our drill site, we have also encountered alteration signatures, surface geochemical signatures and surface vein mineralization that is reminiscent of hanging-wall mineralization in silver deposits in Mexico. This means that the mineralization could extend for quite some distance, but we will have to confirm that with further drilling. INN: Do the discoveries you have made on the Ramsey silver property change the company’s plans or focus? GH: We have a number of targets on the property, the most notable of which is the Ramsey silver mine and the mineralization surrounding it. This is where we have focused our drilling to date. We have also chased some large geophysical anomalies beneath the alluvial cover that are located approximately 1.5 kilometers away from the Ramsey silver deposit. To date, we have not had a lot of success chasing these, but we have been successful in pursuing the silver mineralization around the Ramsey mine. As such, this will continue to be our focus so that we can quantify the dimensions of the resource through further drilling. INN: Is there anything else that you would like to highlight about the Ramsey silver property? GH: We have a large IP anomaly in the western region of the property that is half a kilometer long, half a kilometer wide and up to half a kilometer thick. We have drilled one hole into that so as to understand the causes behind it and to determine whether there is any associated mineralization. We are still awaiting results on this, but if there is mineralization there it would be a large system unto itself. The interview below was originally posted in July 2017. Please scroll up for the latest Arizona Silver Exploration interview. Arizona Silver Exploration’s (TSXV:AZS) Ramsey silver project in the mining-friendly jurisdiction of Arizona includes the historic Ramsey mine. The property hosts a polymetallic system of predominantly silver with potential lead–zinc by-products and recently identified concentrations of gold. Phase 1 drilling is underway, and the results to date have prompted Arizona Silver to focus more attention on the western induced polarization (IP) anomaly to determine the size and depth of the sulfide-bearing body. In the interview below, Arizona Silver CEO Greg Hahn details 2017 plans for the Ramsey silver project and explains the company’s shift in focus to the western IP anomaly. Below is a transcript of our conversation with Hahn. It has been edited for clarity and brevity. Investing News Network: Please provide our audience with some background on your Ramsey silver project in Arizona and what makes the project stand out among its peers in this space. Arizona Silver CEO Greg Hahn: We started Arizona Silver as a private company about two years ago and spent the first $150,000 privately, conducting geophysics and geochemistry around a historic silver-producing mine that operated from the 1920s to the 1960s. We felt that this was an excellent target to potentially bring to market once we were able to quantify the sizes and dimensions of the areas surrounding the silver mine. We completed a private placement transaction back in November 2016 and came out as a public company. We’re a relatively new kid on the block from a public company perspective. What makes the company attractive for investors is we have a very tight capital structure with 28 million shares outstanding and no warrants, which gives shareholders the opportunity to get in early on a company that has an attractive silver project. Another attractive feature of the company is the historic Ramsey silver mine, a high-grade producer averaging around 1,370 grams per ton silver. The old timers didn’t follow the target area under cover. They mainly mined what was available to them from the surface exposure on down. So there is a larger unexplored area, and the geophysics indicate that there’s a large target area to be pursued. INN: You recently released results from a Phase 1 drill program targeting the northern magnetic anomaly at Ramsey, and now plan to shift focus to the large western IP anomaly on the property. What can you tell us about those Phase 1 results and your plans for the project moving forward? GH: The geophysics indicated to us that the large magnetic anomaly north of the old Ramsey mine workings was about 20 times the size of the Ramsey mine itself. It is a very attractive target; however, it was underneath the unknown thickness of alluvial cover. We had to drill to try to find out what was causing the magnetic anomaly. We got through about 100 meters of cover and intersected some extremely altered fissure volcanics — with very low levels, but anomalous values of silver — then suddenly went into a flatline fault that terminated the mineralization and got into some basement granite. Low-angle detachment faults are typical to the terrain in this area. They are similar to gravity-slide faults. The continental crust is stretched, and these low-angle faults developed and have slid large blocks of rock forming on top of another. We believe that this large northern magnetic anomaly that we drilled, but lost in a fault below the altered volcanics, actually split off of the block of rock to the west, and that’s where the large IP anomaly is that we detected during our IP surveying earlier this year. The western IP silver anomaly is a half kilometer long and over a half kilometer wide. Modeling indicates that the anomaly is generated by a sulfide body that’s over half a kilometer thick. We believe the magnetic northern anomaly we drilled used to sit on top of the western IP anomaly and it slid off about 500 meters. We need to shift our focus to the IP anomaly to drill what probably is the root of the magnetic anomaly, and possibly even the old Ramsey mine itself. We did drill two holes into the periphery of the old Ramsey mine workings and we hit very attractive silver values over appreciable thickness. I believe one hole is 45 meters of 64 grams silver and the other hole is 88 meters of 40 grams silver. We have an appreciable mineralized zone there that is wide open to the east-southeast, and there’s been some alteration mapping where there is exposure. It’s very limited, but where there is exposure we had a PhD geologist conducting alteration mapping, which indicates this anomaly is at least 700 meters long by over 250 meters wide before it goes again under cover. We really don’t know how big it is, but it’s at least those dimensions; and if it’s carrying 40 to 80 meters of thickness, it could be a substantial silver deposit in its own right. And that is separate and distinct from the IP anomaly, which appears to be the root of the magnetic anomaly that we drilled earlier. INN: Arizona Silver has a tight share structure and interesting targets to explore. How well financed is the company to meet its exploration goals at Ramsey? GH: We have completed two rounds of financing since we brought the company to market in mid-November 2016 with a nearly $1-million private placement. We completed a $1.5-million private placement in February 2017. We are in good shape financially, and we’ll continue to test these targets to see if we can bring something really spectacular to the market. INN: Our investor audience understands how important management and a great technical team are to the success of a project. Who are your star players and what value do they bring to this project? GH: We are a small company with very seasoned consultants and contractors to do rifle shot work for us when we have the need. We enjoy the benefit of their expertise as well as their interpretations, without having to pay continuously for their involvement. I have been in this business over 40 years now and have a lot of contacts who are now independent consultants. These are people who have had international experience on a wide range of projects. We have one advisor who is currently working on a very large lead-zinc-silver system in Mexico. Another advisor, who has done a fair bit of IP over sulfide deposits in Mexico, completed the IP geophysics for us here at Ramsey. He thinks there are very strong similarities between the two projects. INN: Lastly, what catalysts are on the horizon for Arizona Silver in the second half of 2017? GH: As we mentioned in our last press release, we are in the process of completing forward modeling of the IP anomaly. We gave a preliminary estimate of the dimensions of it based on the work we have completed to date. I think investors can look forward to a formal announcement on the results of that modeling sometime in the next month or so. And then as the heat of the Western Arizona summer starts to wane — sometime in late September, early October — we’ll look at commencing a drill program to test that anomaly. That should be the opportunity to see what is really generating that IP anomaly. If we are successful in tapping into something that is roughly half a kilometer cubed, that will be really exciting for Arizona Silver and investors.